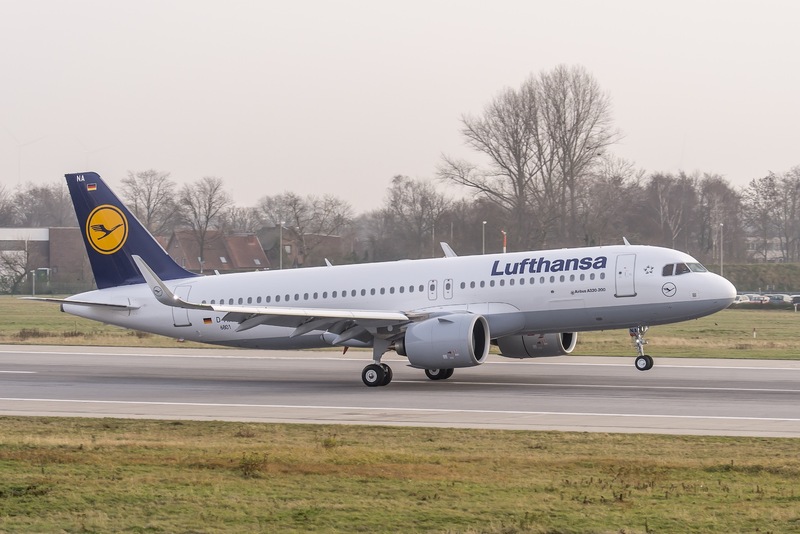 European airframer Airbus, has delivered the first A320neo (new engine option) to German flag carrier Lufthansa. The A320neo is the latest revision of the popular single aisle narrow-body A320 family. It features the new Pratt & Whitney PurePower® Geared Turbofan™ PW1100G-JM engines which have an improved efficiency and reduce fuel burn by 15% along with reduced emissions and noise, compared to existing generation aircraft. 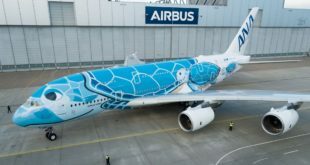 Airbus is targeting a reduction of 20% by 2020. Lufthansa Airbus A320neo D-AINA. Photo courtesy the airline. 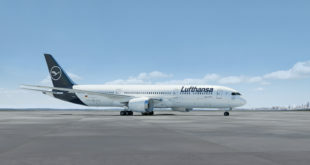 The Lufthansa group is Airbus’ largest airline customer and operates or has ordered almost every model of Airbus aircraft made. The airline has 71 A320neo and 45 A321neo on order. 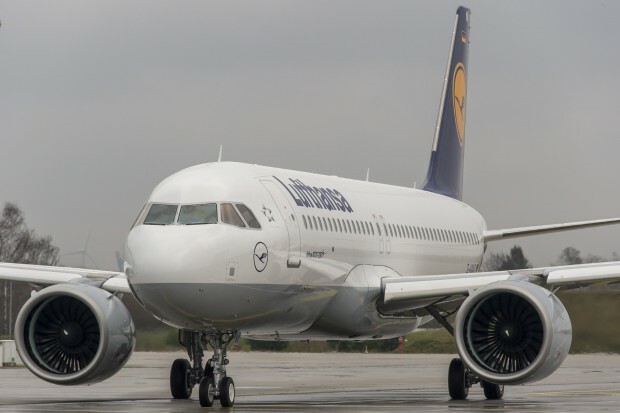 Last month, Lufthansa became the launch customer of the neo in place of original launch customer Qatar Airways. Ongoing problems with the PW1100G-JM engine appears to be at the core of the change. Read our story here. 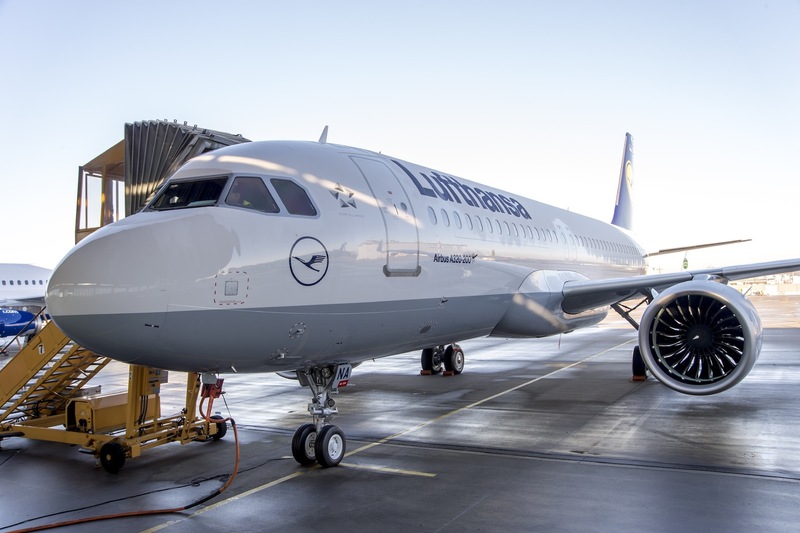 The first Lufthansa Airbus A320neo with the registration D-AINA (MSN 6801) is expected to be transferred to its future home base in Frankfurt later this week, before the aircraft will be used for its first commercial flight to Hamburg on 24 January. 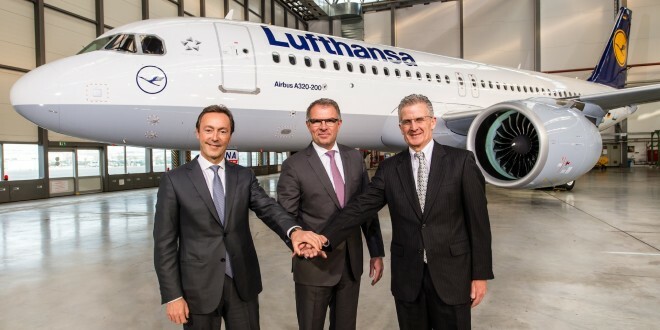 In addition to Hamburg, Munich will also be one of the first two destinations of the A320neo. The A320neo has a total of 180 seats for Business Class and Economy Class passengers. Inside the cabin, the galleys and lavatories in the front and back of the aircraft have been newly arranged, allowing for a more efficient use of available space. Business Class passengers therefore benefit from greater legroom in the front rows, and the new arrangement also creates room for a further two rows with 12 additional seats in Economy Class. The current generation A320s can accommodate 180 seats in an all economy class layout. 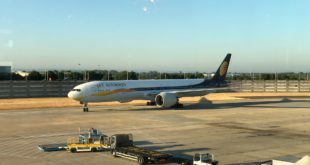 India’s largest domestic airline, IndiGo, which has 430 A320neos on order, and Wadia group promoted Go Airlines which has 72 neos on order are expected to realise significant gains with the new aircraft given the high price of aviation fuel in India. Next BIAL moves forward on second runway. Target completion in two years.